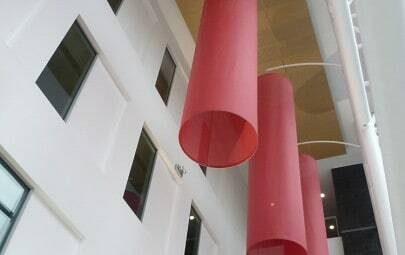 As part of a major regeneration project on the Birmingham City Council Offices at 10 Woodcock Street, Architen Landrell were approached to design, manufacture and install four 3m diameter fabric cylinders with a cylindrical lighting tube running through the middle. 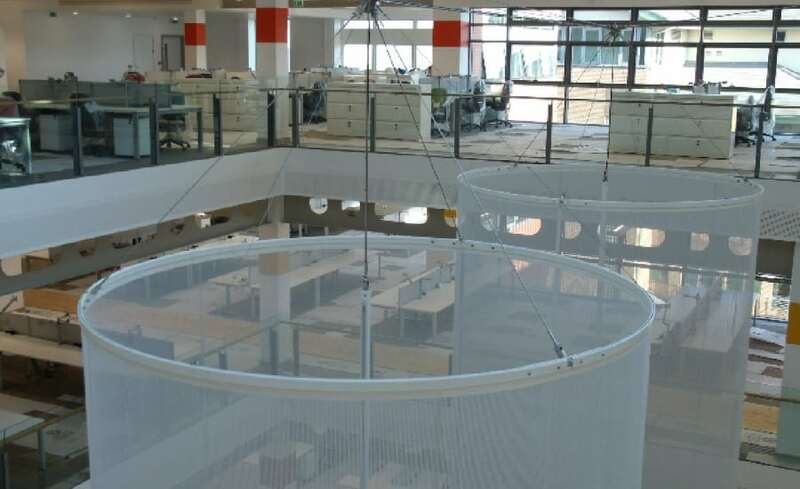 The building now provides a hub for over 3,000 Birmingham City Council employees which embraces the latest building methods to provide a sustainable, energy efficient building. 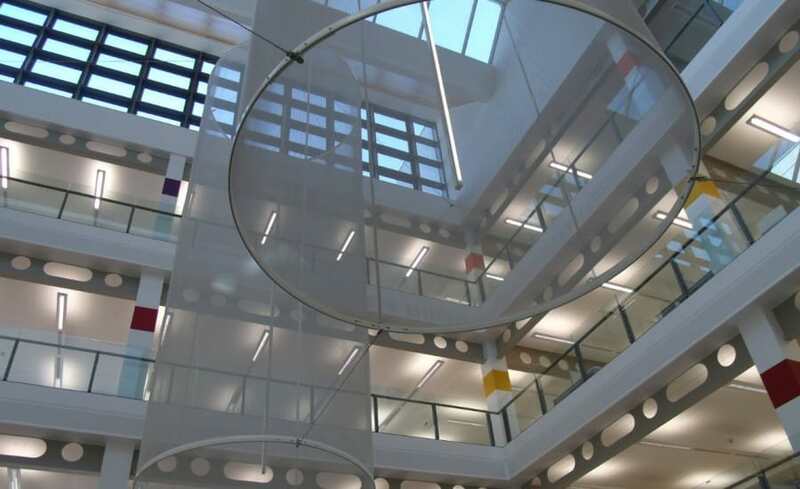 Having seen similar Architen Landrell installations that were being used to break up internal spaces we were awarded the contract, both the client and our design team were keen to provide the building with a show-stopping central lighting feature. 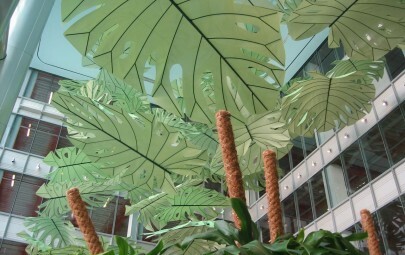 The sculptures were designed to break up the atrium space and provide feature lighting at night. The cylinders varied in shape with two being 3m wide and 8m long, and the remaining two were 3m wide and 12m long. 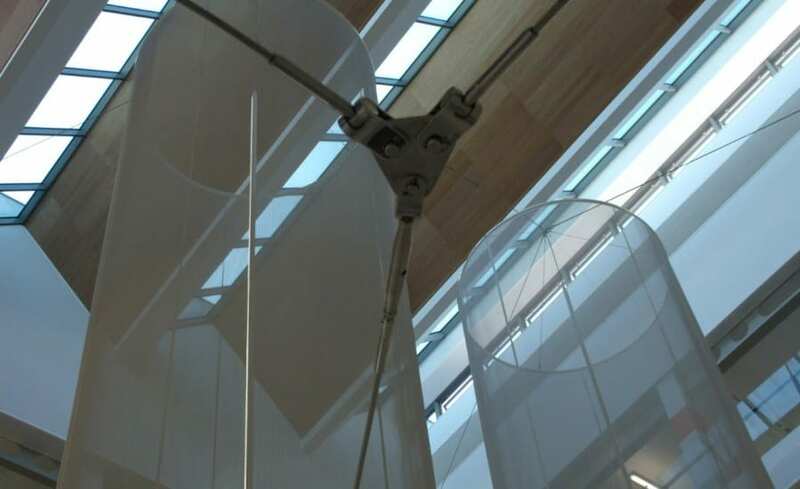 A lightweight, translucent fabric was chosen called Airscreen PVC/glass mesh and it was white in colour, this material gave us everything the client wanted and provided a stunning final product. 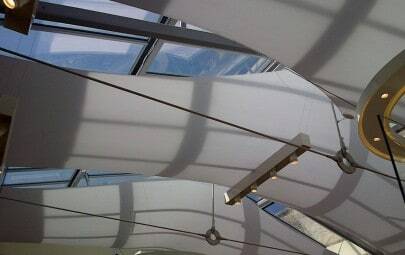 The completed building has gone on to be shortlisted for industry awards, most recently the Construction News Awards 2012.